The world’s richest man Jeff Bezos is an American technology businessperson, investor, as well as humanitarian. He is popularly known as the founder, chairman, CEO, and president of Amazon. Jeff Bezos is going to get divorce from his wife MacKenzie Tuttle. They announced their intent to divorce on Twitter after a “long period” of separation. Jeff and MacKenzie Bezos have decided to part ways after 25 years of marriage. The divorce could strip Jeff Bezos of his title of the world’s richest man. The divorce could make Mackenzie Bezos world’s richest woman. 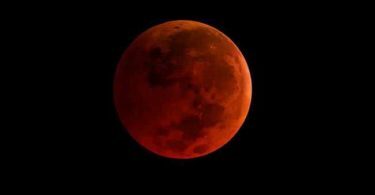 As per the reports, Jeff Bezos after his divorce may possibly lose nearly half of his wealth but would still have sufficient to deposit the whole health budget of Ethiopia and several other nations. A current Oxfam study showed that only 1 per cent of Bezos’s wealth is equivalent to the complete health budget of African nation Ethiopia. On 27th July 2017, he turn out to be the world’s richest person when his projected net worth increased to more than $90 billion. On 24 November 2017, Bezos’s wealth exceeded to $100 billion for the first time ever and he was officially titled as the richest being in the world with a net worth of $112 billion by Forbes on 6th March 2018. The 54-year-old Amazon founder was named the “richest man in modern history” after his net worth raised to $150 billion in July 2018. As per the Bloomberg Billionaire Index, Jeff Bezos current total net worth is of $140 billion or Rs 9,99,180 crore. In 1992, Bezos was employed under D. E. Shaw in Manhattan, New York, when he first met his wife, novelist MacKenzie Tuttle, who was a research assistant at the firm. They got married a year after they met. Jeff Bezos has been married to Mackenzie Bezos, for about 25 years. He and his wife have of four children from their marriage: three sons and one daughter adopted from China. In 1994, they moved across the country to Seattle, Washington, where Bezos set up Amazon. He firstly formed Amazon from his garage and now it is one of the world’s richest companies. Even though the Bezos’s divorce is going on in the US, there are seven lessons from it that relate correspondingly under New Zealand law. If Bezos were a nation, out of 188 nations he would rank about 57 in standings of total net worth. He has cumulative more wealth than a number of nations comprising Iceland, Tunisia, Jamaica and Estonia. 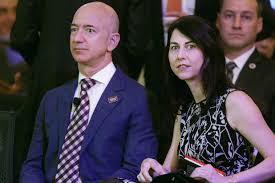 Bezos’ wealth might be considerably reduced by his divorce with wife MacKenzie Bezos. Aa per the Forbes, if the Washington state mutual law put on for their divorce deprived of a prenuptial contract, then Bezos’ wealth will get split into 50-50 with his ex-wife. If this happen, then she will become the wealthiest woman in the world.